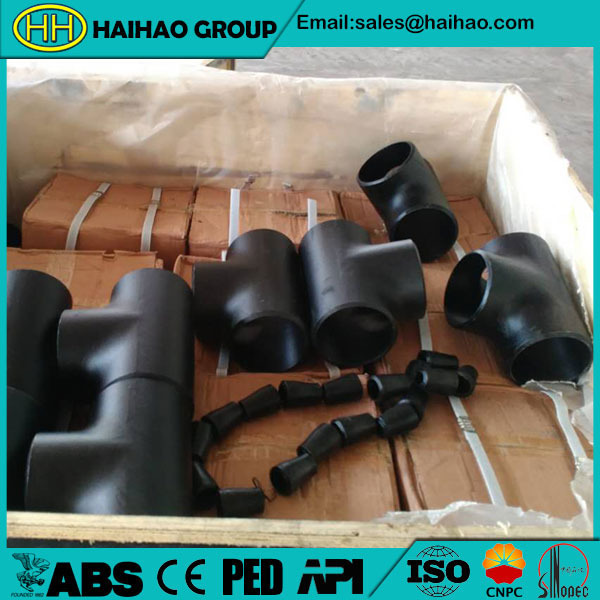 Tee is a type of pipe fitting,it is T-shaped with two outlets,the two outlets are 90° direction change to the main line.It is widely used as pipe fittings to connect pipelines with a pipe at a right angle,and are extensively used in pipeline networks to transport two-phase fluid mixtures. We mainly produce equal tee according to:ASME,ANSI,API,EN,BS,DIN,JIS,KS,GOST standards etc. Hebei Haihao put quality and reputation on the first position.We established a laboratory of quality inspection with the Supervision Bureau of Quality and Technology of China,get the first “famous brand” for pipe fittings in Hebei.Haihao Group has been type approved by world-class notified bodies.